Over the last couple of months, I have noticed a theme amongst small businesses. This theme is across their marketing and to be honest, it concerns me a little. It seems as though small business owners and marketers are so focused on doing stuff, that they aren’t doing it in a very structured way. They are doing social media, doing newsletters, doing sales, doing flyers and doing loyalty programs. But why? Are they connected? Is the messaging for each ‘thing’ structured? This is where you need a formula. So, you can create a set of marketing activities that is structured, that says the right things at the right times and speaks to the right people. Let me introduce you to AIDAS. AIDAS is something you probably haven’t heard of if you haven’t studied marketing, taken a marketing course or read a good marketing book. It is a principal that was originally created to structure the theory behind advertising by Elias St. Elmo Lewis in the early 1900s. People to be AWARE of your product or service. People to be INTERESTED in your product or service. People to DESIRE your product or service. People to take ACTION and purchase your product or service. People to be actively SATISFIED with your product or service. So, when you are creating your marketing plan, you need to think about each of these stages and ask yourself, do my marketing activities actually relate one? Does my messaging match? I’ll take you through an example. CREATE AWARENESS: Join a number of small business groups (online and offline) to meet small business owners (my target clients) and create awareness for my business with my target market. CREATE INTEREST: Add everyone I meet to my mailing list and send out one email each week containing important bookkeeping information and tips to increase business cash flow to create interest in my services by proving I have great value. CREATE DESIRE: Retrieve statistics on profit and revenue growth for my clients each year and promote these on my social media channels. I will also create a testimonial template that focusses on my services saving business owners time and money and promote these on my social media channels to make my business offering look desirable. CREATE ACTION: When someone decides to purchase my services, I will make the buying process simple by having an online meeting booking feature with an automated information kit that tells them what information they need to supply me to get going. I will also make the on-boarding process rewarding by welcoming them into my clientele with a gift and as part of my promised high-quality service, will complete all reporting on-time. CREATE SATISFACTION: To continue a positive and mutually rewarding relationship with my clients I will send them an annual accounting calendar with key dates, a handwritten letter and gift at Christmas and offer a free cash-maximization consult every financial year. So, now you see the bones of the marketing plan with STRUCTURE around it. In that plan, we have; meet-ups, content, marketing within online groups, newsletters, testimonials and statistics, social media, gifts, hand-written letters, freebies and extra service offerings. When you read the list like this, it seems like a LOT of stuff. But when you align it with the AIDAS formula, it makes sense. Everything has a purpose and should communicate a slightly different message. So, there you have it. It’s time for small business owners to stop marketing erratically and put some structure around their planning. Try creating your own marketing plan using the AIDAS method and feel free to send it through to me – I’ll give it a review and send back my thoughts and feedback for FREE! Subscribe for Marketing Info, Inspo, Templates, Tips & Tricks! 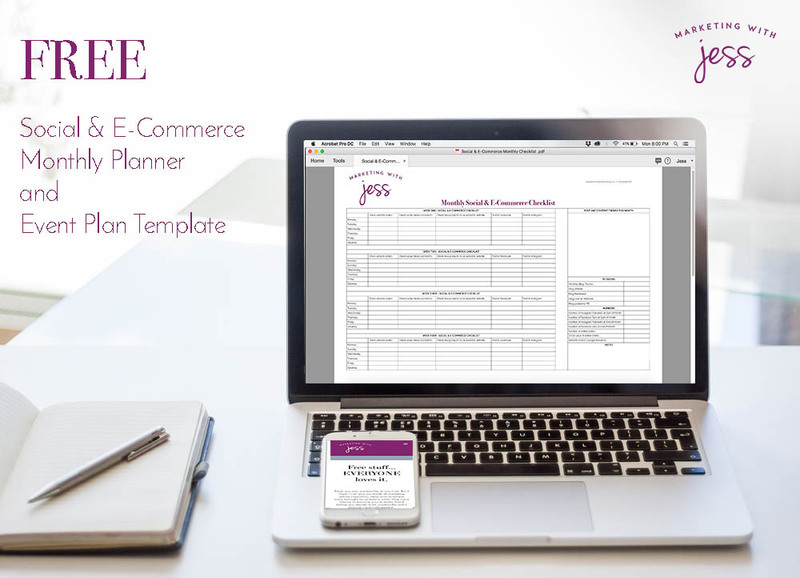 Sign up with your email address and receive two amazing templates in your inbox STRAIGHT AWAY! Thank you! Check your inbox - junk and all - to get your goodies!